If you like Apple products and want a thin, light laptop, then this model might be exactly what you’re looking for. It’s a 13.3-inch machine with a fingerprint ID, SSD, long battery life, and 802.11ac Wi-Fi. The Force Touch trackpad is 20% larger than that of the previous generation and has haptic feedback capabilities. Available in different colors like Space Gray, Rose Gold, and Silver, the Apple MacBook Air MREC2LL/A is made from 100% recycled aluminum. Many users really seem to like the bright display. There are no issues using this laptop in any lighting condition – you can even use it outside in direct sunlight. The butterfly keyboard is improved, so those who haven’t been happy with it in the past will find that it is now easier to get use to and very comfortable to use. It’s a very fast machine thanks to its SSD storage. Audio is good as well; sound is always crisp and clear. It weighs just 2.76-lbs and measures 12-inches x 8.4-inches x 0.6-inches (WxDxH), making it a light notebook that you can easily carry around with you. The AC adapter has a 30-watt output and AC 120 / 230V (input) / 50 / 60-Hz. Setup is an easy process. You can get the Apple MacBook Air MREC2LL/A running in just a matter of minutes. If you already have other Apple devices, it will sync. If you’re new to Apple, you’ll find that the MacBook is easy to use – you’ll just need a bit of practice with the Force Touch trackpad. There are configuration options available for 16GB of RAM. The image aspect ratio of the display is 16:10, and it has a 227-ppi. The screen is BFR / PVC-free, beryllium free, Mercury free, and arsenic-free. The battery has a runtime of 13 hours with video playback and 12 hours for web browsing over a Wi-Fi network. The standby time is up to 30 days. The Apple MacBook Air MREC2LL/A not only performs great (and fast), it looks great, no matter which color you choose. You’ll be surprised at how much money you can save if you shop at the #1 store for Apple products: MacMall. Discounts and coupon offers are available for products such as the Apple MacBook Air MREC2LL/A as well as accessories. This new version of the MacBook Air is available in colors such as space gray, gold, and silver. It’s thinner and lighter than previous versions and has features like a Touch ID, Force Touch trackpad, nice Retina display, etc. all of which is housed in a laptop constructed from 100% recycled aluminum. Users can take the Apple MacBook Air MREA2LL/A with them everywhere since it’s so lightweight and has all-day battery life. The 13.3-inch display is the perfect size for many users, and has a resolution of 2560 x 1600 and image aspect ratio of 16:10. Not only does the battery last for up to 12 – 13 hours, depending on which applications are running, it also charges very quickly. It’s a 50.3-Wh Lithium polymer battery, which is pretty impressive for a 13.3-inch laptop. The AC adapter has 30-watt output and AC / 230 V input (50 / 60 Hz). Additional features of the display include a BFR / PVC-free, Mercury-free, arsenic free, and beryllium free design and a 227-ppi. It features LCD / LED backlight technology. The touchpad is very easy to use and feels silky smooth to the touch. Users can still connect a mouse via dongle and USB-A connector. The butterfly-keyboard is improved from that of previous versions, and people are finding it easier to use. It’s very easy to get the hang of. Those with other Apple products will be glad to know that the Apple MacBook Air MREA2LL/A syncs perfectly. All tasks and communications, such as FaceTime calls, texts, emails, etc… sync across every device, including this one. Those who are new to Apple computers will find it very easy to install and use. Up to 16GB of memory is supported for those who require more than 8GB, although 8GB is certainly enough for most users. A USB-C power adapter and USB-C charge cable are included with this MacBook. I/O outputs include two USB-C 3.1 Generation 2 / Thunderbolt 3 / DisplayPort – power delivery, and a headphone output. The design is very sleek and the Apple MacBook Air MREA2LL/A model measures 12-in. x 8.4 –in. x 0.6-in (W x D x H) and weighs just 2.76-lbs. With so many happy users and high ratings, it’s definitely a must-have laptop. If you want to order this notebook after having read Apple MacBook Air MREA2LL/A reviews, you can get started by checking out MacMall coupons. It’s the best site for buying Apple products. Expect unbeatable prices, excellent customer service, low shipping and handling, and more. Are you shopping for a new tablet? What about an iPad? This particular model is very nice, with its 9.7-inch display and attractive color options (silver, gold, and space gray. It operates fast – even when multi-tasking. 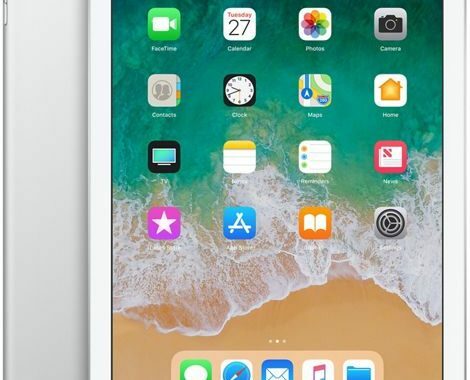 Some of the best things about the Apple iPad MR702LL/A is its long battery life, Retina display, advanced cameras, and Wi-Fi and LTE technology. It’s no secret that iPads are superior to other tablets out there. Now, with support for Apple Pencil, 10 fusion chips, and the newest Apple iOS, the iPad is better than ever before. The A10 Fusion chip allows users to play games, experience augmented reality, edit 4K videos, and more. This chip delivers faster graphics and GPU performance than ever before. The iOS 12 allows for functions such as multi-tasking features, Slide Over, Picture in Picture, Split View, and multiple apps at once. There is a “Files” app that provides a central location to search, browse, and organize all of your files. There are also some great apps that allow you to make full use of the Apple Pencil. There is a FaceTime HD camera and 8-megapixel rear camera, both of which take amazing photos / videos. The f/2.4 rear camera can take 1080p HD video and 3264 x 2448 resolution. The FaceTime HD camera is a front-facing 1.2 megapixel camera with 720p video capabilities. Additionally, there are dual noise-reduction microphones. Login to your Apple iPad MR702LL/A securely via the Touch ID. It not only lets you unlock the iPad instantly and protect your private data, it also allows you to make purchases safely with Apple Pay in websites and apps. A 3.5-mm mini jack headphone port and 1 x Lightning. The included accessories are a Lightning to USB cable and Power adapter / Apple SIM. The LTE mobile broadband support, you can use this tablet everywhere you go and even reach speeds of up to 300 MB/s. You can connect to cellular data networks all over the world, in over 180 countries and regions. This tablet offers a lot of value for its price, and if you order it online, you can get exclusive deals. 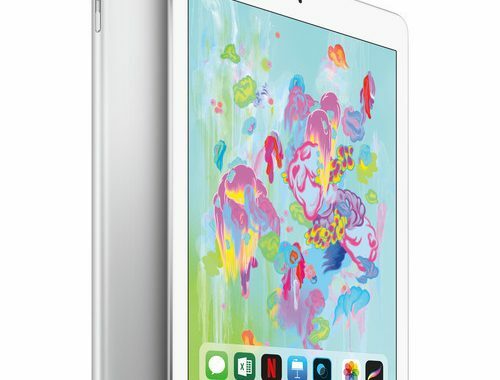 The Apple iPad MR702LL/A is a highly rated device that has a lot of happy users. There are a variety of helpful MacMall coupon codes available for anybody who wants this Apple product and others. 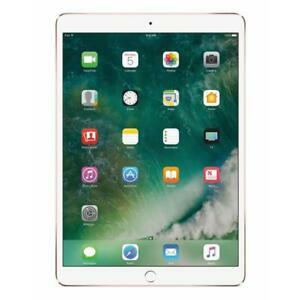 Just start reviewing Apple iPad MR702LL/A discount offers to see which one will be best for you. This Apple product, available in space gray, packs a lot of power into a small, thin device. It measures 7.8 x 7.8 x 1.4 (W x D x H) and weighs just 2.87-lbs, yet performs just as well as most other desktops out there. 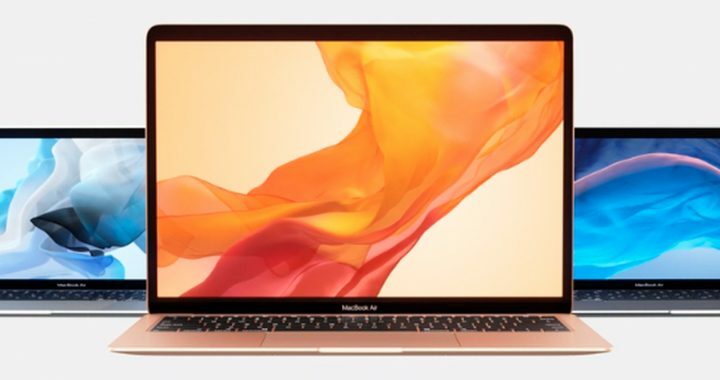 It also comes with good connectivity, such as 4 Thunderbolt 3 / USB-C connector ports, HDMI 2.0, two USB 3.1 ports, and more. If you have limited space, yet still want a desktop, then the Apple Mac mini MRTR2LL/A is perfect for you. It’s also a good place to start for those who are new to Macs. If you’ve always been a Windows PC user and want to try out a Mac computer, then consider this “mini”. It’s a few hundred dollars less than a full-size Mac or All-in-one, and you can connect it to any display. This particular model is considered an “entry-level” model with its Intel Core i3 processor and 8GB RAM. There is another mode available with a faster processor and more RAM. However, the MRTR2LL/A still offers a lot of value and is still superior to desktops from other brands with similar specs. It may surprise you to know that you can use the Apple Mac mini MRTR2LL/A for Photoshop editing. It actually performs quite well at handling large raw and tiff files. The SSD really helps, as it allows the larger uncompressed files to load quickly. Speaking of which, the mini Mac comes with an 128GB SSD PCI-Express storage solution. which makes all of the processes superfast. If the 128GB isn’t enough storage for you, simply use any external hard drive. There are UHD Graphics (630) two video interfaces: DIsplayPort and HDMI. There is support for up to 3 monitors. Another benefit of having this mini Mac is that it is very quiet. Even when you are multi-tasking, you won’t hear very much noise – if any at all. The only time there might be a slight buzz is when the CPU is working hard. While it does come with Wi-Fi (Wireless-Lan supported), make sure that the USB hub isn’t interfering with the signal. Bluetooth 5.0 technology is also built-in. The Apple OS that comes with this computer is macOS Mojave 10.14. There are a variety of useful apps pre-installed, just like with any other Apple product. Any other apps that you’ll need can easily be downloaded immediately from the App Store. The power supply that comes with the Apple Mac mini MRTR2LL/A has a consumption (operational) of 150-watt, and normal voltage of 50 / 60 Hz (120 / 230 V). Thanks to MacMall, you never have to pay full price for a Mac computer. 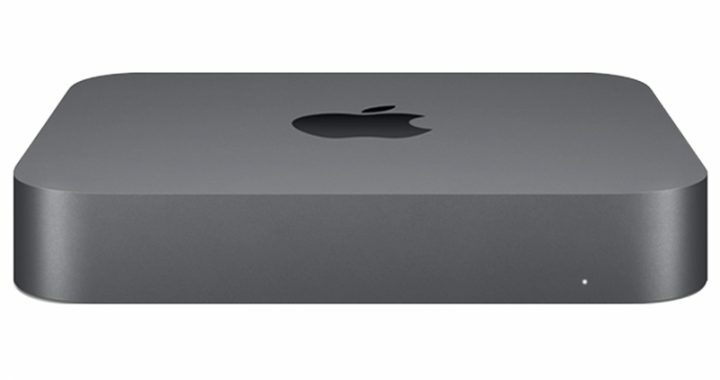 All you need is an Apple Mac mini MRTR2LL/A promo code and you can save. Head to the MacMall discount site and get started! It is important to have a laptop that is able to handle the tasks you require it for, whether it’s productivity, gaming, or just general web browsing and personal entertainment. For some, the best laptop computers are the affordable ones. For others, the best machines are ultra-portable devices with a long battery life and advanced Wi-Fi technology. There are also the gamers who want the best gaming laptop money can buy. Which one is right for you? What exactly do you need in a notebook? Here are a few recommendations for the best laptop computers. This is the best choice of a small, thin laptop. It has notable improvements over the previous versions, particularly with the webcam placement. It’s located in the thin bezel over top of the display. Other improvements include new color choices and Whiskey Lake processors. Select from an 8th Gen. Intel Core i3, i5, or i7 depending on your needs. The Aspire E laptops are great for those on a budget. The 15-inch model in particular offers good performance for its price. It’s available in many different colors and comes with fast wireless networking, a long battery life, and options for dedicated memory. 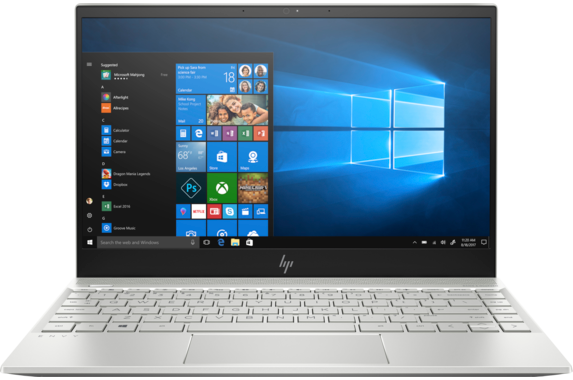 The starting price is under $400, and this configuration includes 8th Gen. Intel Core i3 processor, 6GB memory, 1TB HDD, and a 15.6-inch Full HD display. This laptop even comes with a DVD drive! Don’t forget about 2-in-1s when it comes to evaluating the best laptop computers. This 13.9-inch Lenovo can be used as a tablet and laptop both. Everything runs quickly thanks to the 256GB SSD solution. It has a 360-degree flip and fold design and a full HD touchscreen with LED backlight and 1920 x 1080 resolution. The C930 can even be configured with an 8th gen. Intel core i7 processor. This is among the best laptop computers for gamers. It can be described as a “full-fledged desktop in laptop form”. It’s packed with specs like an Intel Core i9 processor, NVIDIAs super-powered RTX GPU, bright 17.3-inch display, and anywhere from 8GB – 32GB of RAM, depending on how you configure it. You can tell just by looking at it that it’s a machine built to last. While Apple computers are always built to impress, the newest version of the MacBook Pro (15-inch) is definitely the best this year. It’s especially worth investing in the Intel Core i7 variant, as it comes with 512GB SSD storage, 16GB of memory, and optional Radeon Pro 555X graphics (4GB of dedicated VRAM). The Retina display features True Tone technology and can reach 500-nits. These are the best laptop computers right now. Any of these will be an excellent investment. Get discounts on the best laptop computers at this site. It’s the best place to find everything from Lenovo promo codes to Apple coupons. There is never any need to pay full price for a laptop these days. With features like ProMotion technology, Apple Pen support, and a Retina display, it’s no wonder why the Apple iPad Pro MPHH2LL/A is a best-selling device. It’s also remarkably fast, with no lagging at all. It boots up quickly, websites and apps load quickly, the screen-changing orientation is instant, etc. The six-core Apple A10X Fusion processor and 64-bit computing play a part in its fast speed and good performance. Like other Apple products, the screen on this device is an impressive Retina, multi-touch display. It’s designed with anti-reflective, anti-glare, and anti-fingerprint properties and True Tone technology. The resolution on this 10.1-inch screen is 2224 x 1668 (264-ppi). As mentioned above, it feature Apple Pen support. The Apple iOS 12 Operating System offers a variety of features and must-have apps and services, like Siri, powerful search functions, Maps, News, multi-tasking technology allowing for the use of multiple apps simultaneously, proactive assistance, etc. This is one of – if not THE best OS for a mobile device yet. While the display features multi-touch capabilities and Apple Pen compatibility, there are still other way of interacting with the Apple iPad Pro MPHH2LL/A, such as the use of a Smart Keyboard (optional) and Force touchpad and tilt sensors. While this tablet isn’t necessarily a laptop replacement, it’s still good to have. You can still do most tasks on it, such as FaceTime chat with friends and work colleagues, watch videos, visit your favorite websites, read email, and so forth. With the Apple Pen, you can even give digital art a try, or simply write down notes just as you would with an ordinary pen and notepad. Some models and configurations even include cellular technology with protocols such as GSM, EDGE, UMTS, LTE, LTE Advanced, CDMA 2000 1x EV DO Rev A, and several others. Additionally, there is 802.11 a/b/g/n/ac wireless connectivity and Bluetooth 4.2 technology. For storage / memory, there is 256GB, which is pretty impressive for a device of this size. There is a front 7-megapixel camera and rear 12-megapixel camera. 4K video recording is a possibility with the Apple iPad Pro MPHH2LL/A. You get all of the recording, photo enhancing, and editing tools and functions you need, including time lapse mode, geo-tagging, Burst mode, autofocus, video stabilizer, and more. Additional features include two microphones, 4 speakers, fingerprint reader, Receiver A GPS / GLONASS navigation system, and lithium polymer / 30.4-Wh battery (maximum runtime of 10 hours). There are many people praising the tablet in Apple iPad Pro MPHH2LL/A reviews, especially for its Retina display, Apple Pen support, mobile capabilities, USB 3 to Lightning adapter, overall design, and speed. Where should you buy it? Most Mac product users recommend starting with MacMall. It’s the top reseller of new and refurbished Apple products – all of which are assured to be the best quality and available at affordable prices. Start looking at Apple iPad Pro MPHH2LL/A discounts at MacMall. At just 2.87-lbs and featuring 4 Thunderbolt 3 and 2 USB 3.1 ports, you can set the Apple Mac mini MRTT2LL/A up anywhere and connect it with just about anything. Despite being “mini”, it still contains a lot of impressive hardware, like 256GB PCIe SSD and 8th Gen. Intel Core processor. Connect it with any mouse, keyboard, or display. In fact, you can hook it up to three displays, thanks to the HDMI 2.0 and Thunderbolt 3. Not only does the Mac mini make a good, yet small desktop computer, it can still be used for a center hub for all of your entertainment and multimedia. Thunderbolt 3 in particular gives you some excellent productive possibilities. It can transfer data at a speed of up to 40 Gb/s, connect 4K displays, power external devices, and so forth. For networking, there is Wireless LAN, Ethernet, Gigabit Ethernet, Fast Ethernet (IEEE 802.11 b/a/g/n/ac), and Bluetooth 5.0 technology. This device comes with a power supply with 150-Watt power consumption (operational) and normal voltage of AC 120 / 230 V or 50 / 60 Hz. It meets environmental standards and is Energy Star certified. 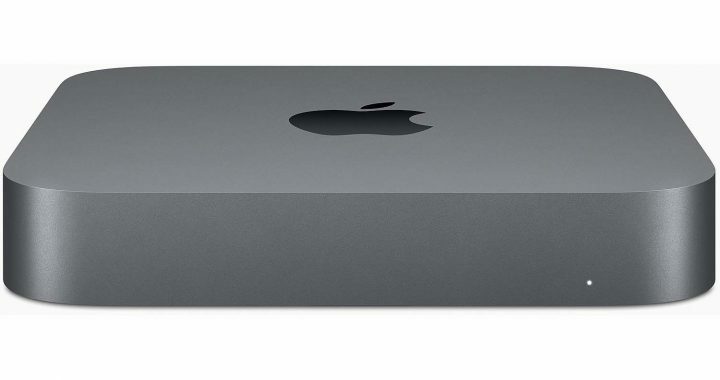 The operating system installed in the Apple Mac mini MRTT2LL/A is macOS Mojave 10.14. There is some pre-installed software like all desktops, however the apps that come with this Apple device are popular and useful: Safari browser, GarageBand, iBooks, Siri, Apple Time Machine, FaceTime, App Store, Messages, Photo Booth, and several others. It ships with a single 8GB memory module, but supports up to 64GB (2 32GB modules). As “mini” as it is, it is very expandable. It comes with 256GB of on-board SSD PCi-e based storage, and can be configured with as much as 512GB, 1TB, or even 2TB of SSD storage for additional costs. However, it doesn’t support internal hard drives. The great thing about all-flash SSD storage is that you can load huge files and launch your favorite apps superfast. There is an Intel UHD graphics processor (630) that shares memory with the system. While not dedicated, UHD graphics (630) are still powerful and enhance the system’s overall performance. The CPU is 8th Generation Intel Core i5 six-core processor at 3-GHz, which can get up to 4.1-GHz maximum turbo speed. There is 9MB cache memory. The desktop is space gray with a slimline appearance and measures 7.8-in x 7.8 x 1.4 (WxDxH). 10Gb Ethernet is also available as a configurable option. Why pay for a full-sized desktop when you can get as much power and performance, and even faster speed, by buying the Apple Mac mini MRTT2LL/A? It’s also fairly affordable, and you can get it at a low price. It’s available at an inexpensive price if you shop online and use MacMall discounts. You won’t find a better deal anywhere else. Get affordable accessories as well. Apple Mac mini MRTT2LL/A coupons are available right now. It’s not surprising that the MacBook Air is the most popular of the Apple computers. Take one look at this particular model and you’ll understand why everybody loves it. It’s thin, light, and available in gold, space gray and silver. The construction consists of 100% recycled aluminum, and it features an all-day battery life. The newest version of the Apple MacBook Air MRE92LL/A comes with some powerful upgrades. There is backlighting on the keyboard and on the back. It’s Apple’s newest, innovative keyboard that works great. The Force Touch trackpad features four sensor zones that allows for it to be clicked anywhere, even the area along the top edge. It provides haptic feedback depending how much pressure you apply to the trackpad when you touch it. There is no overheating or loud noise to worry about, as Apple makes its new notebooks to be quiet and cool under any conditions. The audio is very good for a laptop of this size. There are stereo speakers and three microphones. The 720p FaceTime HD camera takes excellent photos and videos. It’s great for live chat as well. The fast SSD PCI-e (soldered) storage consists of 256GB, and the processor is a dual-core – 8th Gen. Intel Core i5 1.6-GHz with a maximum turbo speed of 3.6-GHz (Cache 3 – 4 MB). 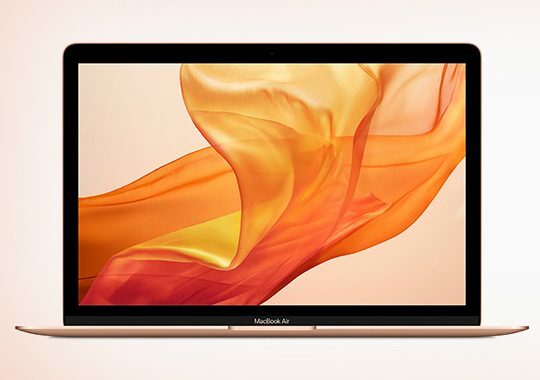 This MacBook is capable of 64-bit computing and comes installed with Apple macOS Mojave operating system (10.14). 8GB of memory comes soldered, while there the machine can support up to 16GB if you require more (2133-MHz LPDDR3 SDRAM). Even though nothing beats having dedicated graphics with a laptop, the Intel UHD graphics (617) that come with the Apple MacBook Air MRE92LL/A are still impressive in their own right. The 13.3-inch IPS display features LCD / LED backlight technologies and a widescreen 2560 x 1600 WQXGA resolution. It’s completely Mercury-free, BFR / PVC-free, arsenic free, and beryllium free. The 50.3-Wh Lithium polymer battery has a runtime of up to 12 hours and standby time of up to 30 days. Additional features include an AC adapter with 30-watt output and AC 120 / 230 V input (50 / 60 Hz), T2 Security Chip, USB-C cable charge / USB-C power adapter, and plenty of useful Apple software, from Apple Time Machine to iBooks. Another great thing about the Apple MacBook Air MRE92LL/A is that it doesn’t cost a fortune like other Apple computers. You can get it at a good price if you know where to look. So, where CAN you get it at an affordable price? First, take a look at MacMall coupon codes. Which offer will be right for you? 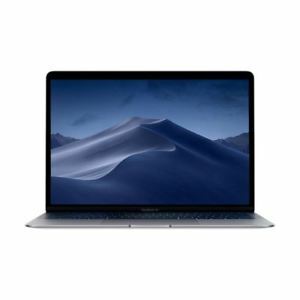 Using an Apple MacBook Air MRE92LL/A promo code at the online MacMall store is a very simple process, and you can find many other great deals. While not a “Pro”, this new iPad still has a lot to offer, and is available at an affordable price. It comes with a 9.7-inch Retina display and is compatible with the Apple Pencil. Use it for work, document editing and sharing, Netflix streaming, social media, and more. It’s also extremely light, yet still pretty powerful. The Apple iPad MR7D2LL/A comes with the best tablet operating system. While it does come with Wi-Fi technology, this device is also available with cellular technology so that users can still enjoy internet where there are no wireless network spots available. The cellular models feature 3G, 4G technology and come with all of the protocols and band networks. The upgraded processor is a quad-core Apple A10 Fusion, which is as powerful as it gets when it comes to tablets. It actually has 64-bit computing capabilities, which is a function many tablets lack these days. There are literally more than 3.3 billion transistors! This Fusion Chip is powerful enough to allow users to edit 4K videos. Keep in mind that the MR7D2LL/A isn’t intended to be a full laptop replacement, but it still works a lot better than the average tablet is the best one can expect for this price range. The fact that it is compatible with the Apple Pencil is also great news, although the pencil is sold separately. The pencil technology allows users to write or make sketches with as much natural movement as a traditional pencil offers. It’s highly intuitive and offers an excellent way to interact with the screen. Speaking of which, the 9.7-inch multi-touch Retina display on the Apple iPad MR7D2LL/A is very bright and comes with an LED backlight, IPS TFT – technology, anti-fingerprint technology, and 2048 x 1536 resolution / 264-ppi. The Operating System, Apple iOS 12, as mentioned above, is an excellent operating system and allows apps to be more responsive and faster, while giving users even more ways to enjoy their device. It really is the most advanced mobile OS. There is ample storage on the iPad: 128GB. Owners can save all of their favorite apps, documents, files, photos, and more. There are two HD cams for taking the best photos and 1080p video recording. Features like auto image stabilization, retina flash, Panorama, Exposure control, etc. make photography an easy process with this iPad. Overall, the Apple iPad MR7D2LL/A is a must-have for anyone who doesn’t want to spend a lot of money on a Pro model. It can even handle AR apps (augmented reality) very well. This technology is really popular right now. It all starts at MacMall: the best online store for all things Apple-related. You can an Apple iPad MR7D2LL/A discount if you start shopping today. Consider looking at MacMall coupons on accessories and all the supplies you need as well. Apple has a reputation of having expensive products. However, they are superbly built and definitely outlast laptops, tablets, and smartphones of its competitors. You can buy an Apple computer and expect it to last for years and years. The good news is that they aren’t always expensive – it is possible to occasionally find cheap Apple computers, either refurbished or available at a discount price. There is never any need to pay full price for one. “Cheap” where the Apple brand is concerned usually means under $1,200, which includes the 13.3-inch models. These are very good and nicely designed, featuring things like a Retina display, all day battery life, and a construction made of 100% recycled aluminum. If you’d prefer a desktop or all-in-one, just look at the iMac section at an online Apple discount store. You might be able to find one for under $1,200, with a 21.5-inch display, or, if you’re lucky, a 27-inch display. These make nice additions to any home or office and don’t take up much room at all since there is no bulky tower. All of the specs are built into the back of the display, and you can get a wireless mouse or keyboard to go with it. Depending on the model, you might even get a touchscreen. There are a few ways to find cheap Apple computers. First, visit your favorite Apple reseller store and check out the “Current Deals” section, or conduct an internet search for “Apple coupon codes” or “MacBook discounts” to see what kinds of offers are available. It’s very easy to find ecoupons and promo codes for any product and brand these days. Just read the terms and conditions to make sure you can apply them to your order during checkout. It’s not just MacBooks and iMacs consumers consider buying these days, it’s iPads as well. Today’s generation of iPads are so nicely built and feature such great specs that they can easily be used as alternatives to standard laptops. The 10.5-inch models are the cheapest, followed by the 11-inch models and 12.9-inch models. Even the lowest-priced iPad Pro offers more value than tablets of other brands out there. That old adage “you get what you pay for” is true – especially when it comes to Apple products. Even if some cheap Apple computers still cost more than you’d like, they are still built so durably that you won’t need to replace it for a long time anyway. Nevertheless, there are ways to bring the price down even more with promo codes, student discounts, refurbished offers, etc. You can actually find cheap Apple computers and other deals right now at this site. Whether you want an iMac, MacBook Air, iPad Pro, or any other product, it’s the best place to start your search. Just use Apple promo codes or look at the current deals at MacMall.